Dinosaur Games for Little Kids: Dino Games for Children Age 3-5. My son is 4.5 and loves to play dinosaur computer games. We've put together a list of our favorite free online games and also included dinosaur games to buy, and some tips for playing computer games with preschoolers and kindergarten aged children. Choose a topic from the right if you are looking for something specific. How old is your dinosaur fan? The Fisher Price iXL is a first kids learning console aimed at children aged 3-5. There are lots of preschooler titles available for this console, but the one we're interested in is iXL Imaginext Dinosaurs! iXL Imaginext Dinosaurs includes games and lots of other activities. There's a dinosaur coloring game, storybook, music player, art studio and notebook application. The focus is on learning through fun. This is a good choice for younger preschoolers. 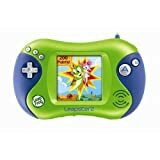 The Leapster 2 is a kids handheld games console for children aged 4-8. It has a big range of games that will appeal to boys and girls. But the one we're interested in is Scholastic Digging for Dinosaurs. This title comes highly recommended by parents and kids. Kids will learn lots about paleontology through fun games where they can play lots of games and dig for fossils. We love that the Leapster comes in dinosaur green! This makes a great birthday gift for a young dinosaur enthusiast. Especially if you add the green Leapster 2 case. You'll have a very happy preschooler! The Nintendo DS is a great choice for preschoolers and kindergarten age children from age 4. 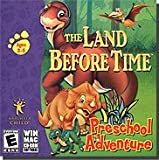 There are some great dinosaur games for little kids available for the DS, but there's also a brilliant choice of dinosaur games available for older children. So while this console is more expensive than some alternatives, it will last a long time. Go Diego Go! Great Dinosaur Rescue is a great game for little kids. It's based on te TV show and kids have to complete various mini games to reunite Maia the Maiasaura with her babies. The set includes a Diego Design neoprene case which makes a great gift and keeps your DS safe. 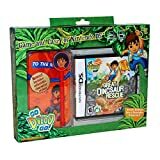 Scholastic's Digging for Dinosaurs is also available for the Nintendo DS. A great choice for kids who want to learn all about dinosaurs. My older son's favorite color is red so he thinks it's wonderful that the Nintendo DS Lite comes in bright red! If you prefer to play dinosaur computer games on the PC, there are some good options available. Dinosaur Adventure 3-D by Knowledge Adventure. It's an older PC game so the graphics aren't brilliant but the gameplay is great and parent's rate it highly. Kids will learn all about dinosaur from different time periods. Parent's report children as young as 3 enjoying the game. The Land Before Time Preschool Adventures is another great choice for children aged 3-5. In runs on Windows or Mac. This is a Land Before Time learning game which teaches letters, colors shares and numbers through fun games with Littlefoot, Cera and friends. We're big Land Before Time fans! We play lots of free online dinosaur games for preschoolers. My older son is 4.5 and can play many of these games on his own on is netbook. My younger son is nearly three and we like to play games together - he tells me what to do! These games can be played online, there's no need to download anything to your computer. Don't forget to bookmark this page so you can easily find the games again. One of the games we've been enjoying recently is a free online game from LEGO. It ties in with their LEGO Dino range. The game is called Dino Outbreak and you play a dinosaur hunter trying to round up dinosaurs that have escaped. It's a platform game where you have to explore and find things and not get caught. My five year old loves this game though he usually prefers me to play while he gives me instructions. A fun game for older preschoolers who enjoy the LEGO dino toys. Sheppard Software has a big collection of dinosaur games for little kids which are educational and fun. The games are free to play online. You can choose a coloring paint game with dinosaurs from a particular time period, matching games, games for learning dinosaur names and my son's favorite where you have to categorize herbivores and carnivores. Highly recommended. Does you child watch Dinosaur Train? PBS Kids have provided a nice collection of simple online games for little kids. Wonder Pets Save a Dinosaur is a full little game. It's a simple and silly adventure where the Wonder Pets have to solve problems to rescue a dinosaur in trouble. I like this one because it feels like a child's version of the problem solving adventure games that I enjoy. We've found that our preschooler son gets on much better with a child's computer mouse which he uses with a Netbook. A Netbook is just the right size for preschoolers and they to have their own computer just like Mom and Dad. We set my son up at a small table and run the Netbook from its battery so we don't have an extra power cable to get in the way. At first he used a spare adult sized mouse that we had, but he found that too difficult to control and was getting frustrated so we bought him a smaller child-sized mouse and now he's much happer! 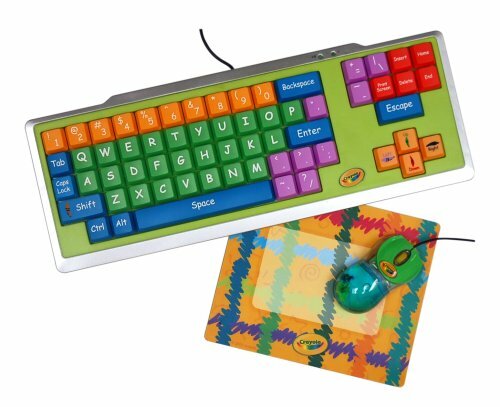 We also have a kids' keyboard which we attach to a computer which removes all the unnecessary keys and is much more child-friendly. Great for learning letters. Caillou's Dino Dig is a great game for young children. You have to dig up the dinosaur bones by moving the mouse then move the fossils to packing crates. When you find them all you get to assemble them into a dinosaur. My four year old son loves to play this game. Dr. Sameer Hinduja of the Cyberbullying Research Center considers online gaming cyberbullying experiences as preventable hazards of playing video games.